As a Certified Nurse-Midwife, I find it essential to connect with my patients who experience unexpected complications or deviations from their birth plans. The rest of the world pressures women to quickly move on from these sudden changes. When childbirth doesn’t go as expected, the events can leave long-lasting emotional and physical scars on a mother. The physical scars fade away, but the emotional scars remain. Mothers with birth trauma often report feelings of vulnerability, humiliation, and loss. Birth trauma happens more often than you think. Nearly one in three mothers report having a stressful birth experience and display related trauma symptoms postpartum. With odds like this, it’s apparent that birth trauma happens frequently, but few women openly discuss it. Many women with birth trauma are left to suffer alone. Trauma is the result of excessive stress that overwhelms one’s ability to cope with an emotionally charged experience. Traumatic childbirth is a form of psychological injury caused by emotional pain. Will you ever be able to embrace the distressing childbirth experience? Can you visualize your birth as moments of courage and strength? Alternatively, does the topic of birth remain a trigger for a painful memory? During your Postpartum visit, sitting down to review all aspects of the birth will help with closure. It is also the best opportunity to make sure that you are coping appropriately. If not, we can discuss the best next steps and any necessary resources. The stressful birth can cause significant lingering effects if not properly addressed. Processing these emotions is hard work. Coming to terms with your own birth experience is the first step in the healing process. Blocking it out or ignoring your emotions will eventually cause further grief. These are the steps to heal from a traumatic birth. It is entirely reasonable to feel a sense of loss surrounding your birth experience. Understand that you went through a significant trauma and your feelings are completely valid. Well-meaning people may say to you “You and your new baby are healthy. That’s all that counts.” However, your mental health and your feelings matter. Do not stuff down the emotions that crop up surrounding your birth. When the labor and birth are different than expected, moms can feel guilty that they somehow contributed to a lackluster experience. Despite what your brain is telling you, you did not deserve this set of circumstances. Loved ones should support mothers as they feel these emotions. Open up to someone you trust—whether it’s your partner, parent, sibling, or trusted friend. It will help to have an outlet to move through the stages of grief so you can work to achieve acceptance. You may want to speak to a trusted healthcare provider who was at your birth, to clarify the details of a chaotic or confusing situation. Reflect on how the members of your healthcare team supported you during your labor and childbirth. If you were soothed by a calming and supportive voice during a chaotic time, sharing your appreciation will be good for both of you. If there was a birth professional that dismissed your emotions or left you helpless, regaining your voice may help purge your ill will. The actual art of writing the letters is the healing part of the process. If you don’t want to send them, you do not have to. Shower yourself with self-love in the form of wellness practices. Meditation, yoga, long walks, and massages provide you with gentle self-care. Some women reconnect with their body by ramping up their fitness routine, while others prefer warm, soothing baths. Take time to identify what makes you feel best and what nurtures your body and soul. You may heal by sharing your experience out with a close friend or family member. However, if your symptoms interfere with your ability to care for yourself and your baby, it’s time to speak with a mental health professional. Postpartum Depression (PPD) and Anxiety (PPA) are more intense than the typical nerves or emotions called the baby blues that most new mothers go through. PPD and PPA can often be debilitating. Symptoms include intense feelings of guilt, anxiety, hopelessness, sorrow, and fatigue. In unusually severe cases of childbirth trauma, mothers can suffer from a condition called Post Traumatic Stress Disorder (PTSD). Women who face high-risk pregnancies, complicated births, and have a history of trauma were more likely to suffer from PTSD. Studies show that one in twenty-five (4%) postpartum women experience PTSD related to childbirth. Symptoms of PTSD include intrusive memories of the childbirth trauma, flashbacks or nightmares, avoidance of memories from the event, irritability, insomnia, anxiety, panic attacks, or feeling a sense of detachment. PTSD requires additional coping to move past these symptoms. If you suspect you are experiencing PTSD, please discuss it with your OB care provider or a mental health specialist. Search for a specialist who is an expert in pregnancy and postpartum mental disorders. Some mothers benefit from a support group to share grief and experiences with others. Postpartum Support International is a resource to help new mothers with concerns about PPD, PPA, or PTSD. The best way to approach a future pregnancy is to work these steps by conception. However, fertility is fickle. If you were unable to work through your traumatic birth before becoming pregnant again, there are some actions that you may want to take. Consider midwifery care for your next pregnancy. Studies show that empathy and spiritual care that midwifery care demonstrates can create a positive birth and mothering experience. The emphasis that midwives place on the idea that “birth is sacred” can validate a mother’s birth trauma and encourage healing care. Continue to perform self-care. These activities will help you enjoy your pregnancy and connect with your baby. 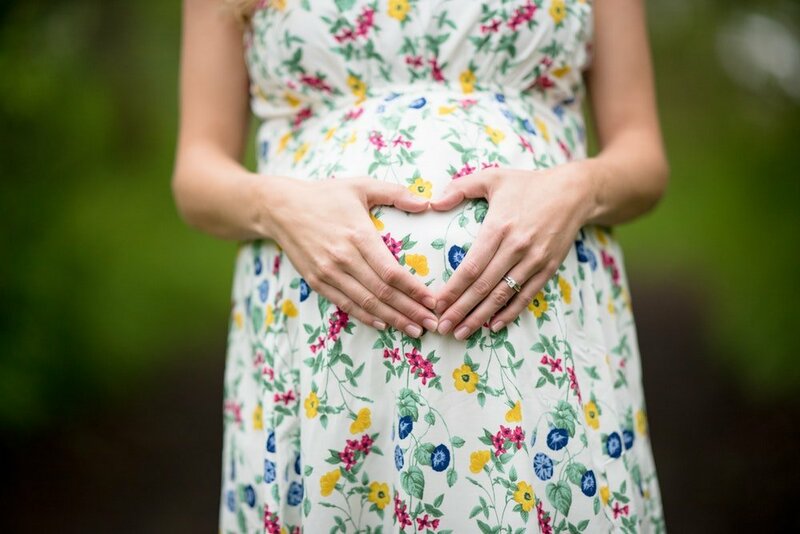 Meditation, fitness, yoga, massage, and chiropractic care have abundant benefits in pregnancy, like preventing or diminishing symptoms from perinatal mood disorders and empowering you in pregnancy. Partnering with a mental health professional early on in pregnancy can give you an anchor to touch base with throughout your pregnancy. Even if you’re doing well, it’s easier to have a trusted resource in your back pocket, then struggle to find someone if things get tough. I experienced severe preeclampsia at 32 weeks pregnant. I had to change my birth plan from a midwife-ran birth center to an early induction at a tertiary hospital with a high-level NICU. I understand firsthand that the way we give birth matters. While a healthy baby and healthy mom are important, it is not everything. In a perfect world, all women would have easy pregnancies and beautiful births. While the people you know or love may diminish the fallout from a traumatic birth, the long-term effects exist. If you feel like you keep reliving the negative aspects of your pregnancy and childbirth, reach out to your OB professional. For additional information, see this video on Post-Traumatic Stress Disorder in childbirth.